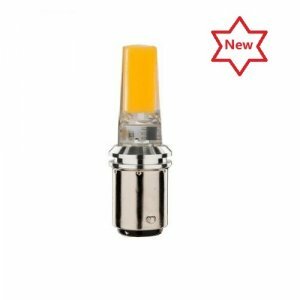 The new COB LED source provides unified color and light output and is ideal to replace BA15D base lighting fixtures. Available:3W and 5W options. This bulb is highly versatile and offers significant energy savings and environmentally friendly. Light output is 360° which is perfect for even dispersion applications.